For more information about the Next Generation Beacons platform please visit the project webpages. The current Next Generation Beacons setup March 2017. The rack with the common PSU at the bottom and then the 28 MHz beacon and upwards in frequency to 24 GHz. 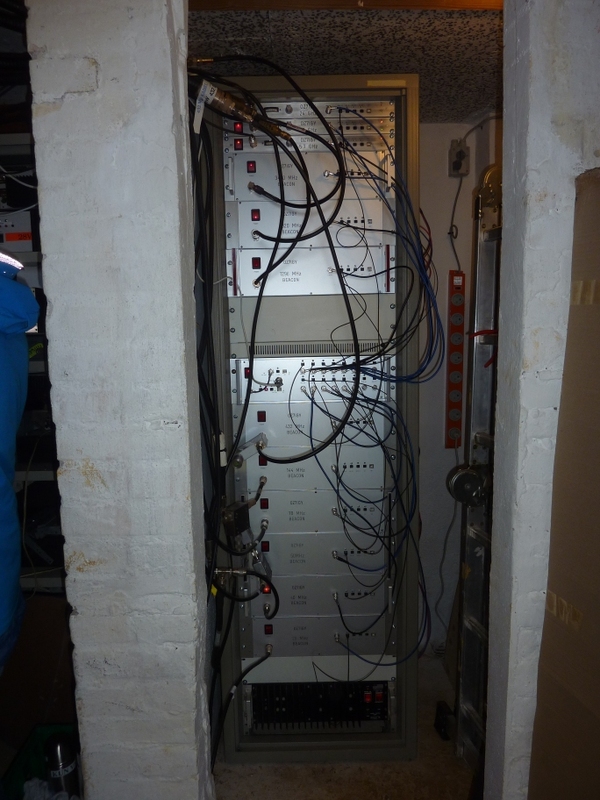 At the center of the rack is the reference box containing the 10 MHz GPSDO, 1 GHz VCO-PLL, 1 GHz distribution amplifiers and GPS data distribution amplifiers. At the top of the rack are the three indoor units (1 HU) for the 5,7 GHz, 10 GHz and 24 GHz bands. The following beacons have also been supplied with Next Generation Beacons hardware. The DDS exciter unit clocked by 1 GHz and capable of producing any frequency from kHz to GHz level. The DDS unit is the digital and CW signal generator in the Next Generation Beacons platform. The DDS unit can be configured via the USB port. This way parameters such as mode, sequence and frequency can be managed without changing the software in the DDS unit. The 1 GHz VCO-PLL clock with the 10 MHz input and the USB port. The 1 GHz clock has a very low phase noise VCO with a phase noise of -138 dBc/Hz at 10 kHz. 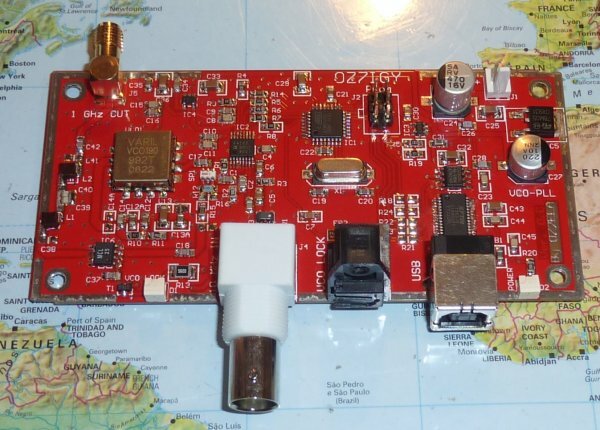 The 10 MHz GPSDO with two 10 MHz outputs and TOSLINK transmitters for 1 PPS, GPS data and lock status and the USB port. 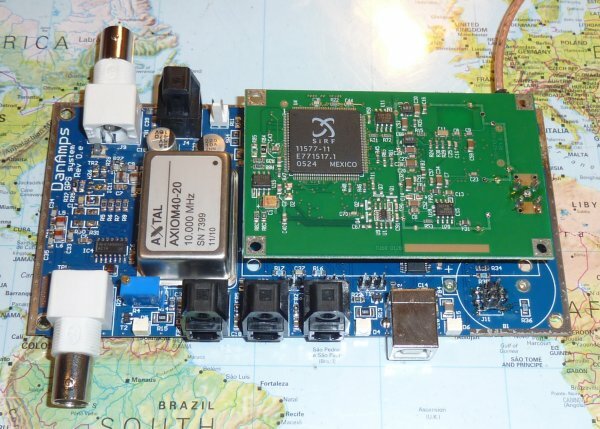 The 10 MHz GPSDO has a long term accuracy of less than 5 mHz. This ensures that all the OZ7IGY Next Generation Beacons are spot on their nominal frequencies. The 1 GHz clock distribution amplifier that is used to distribute the clock signal to each of the DDS units. The 1 GHz distribution amplifier is only needed if more than one DDS unit/band is used. The TOSLINK distribution amplifier that is used to distribute the GPS data signal to each of the DDS units. The TOSLINK distribution amplifier is only needed if more than one DDS unit/band is used.